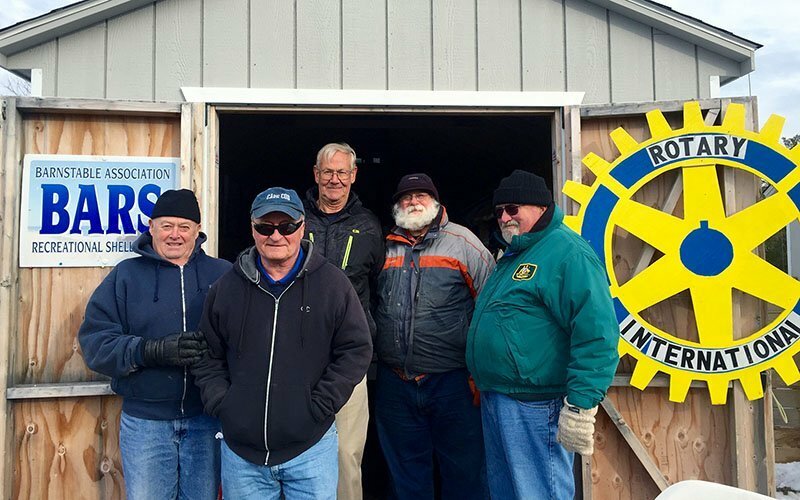 BARS and Hyannis Rotary were at the Town of Barnstable Transfer Station bottle and can recycling shed for February.Becuase of your recycling efforts we raised $3000. A great thank you to all who donated. Pictured in this photo from left to right: Steve Hoxie, Tom Lipinski, BARS President Norm Wilson, Bob Parsons, and Ron Glantz, President Emeritus.